Different tracks to suit any rider. We supply all your equipment, the bike and a guide. Small groups means the routes we take will be catered to fit you skill level. Tour start times can be flexible to suit you. Once you have but on your boots and all the rest of the protective gear we set off. We adapt the route to suit your preference and skill level. 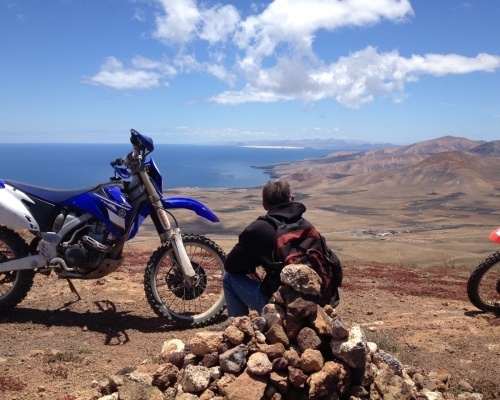 All the routes take in some of Lanzarote’s most stunning views and landscapes. 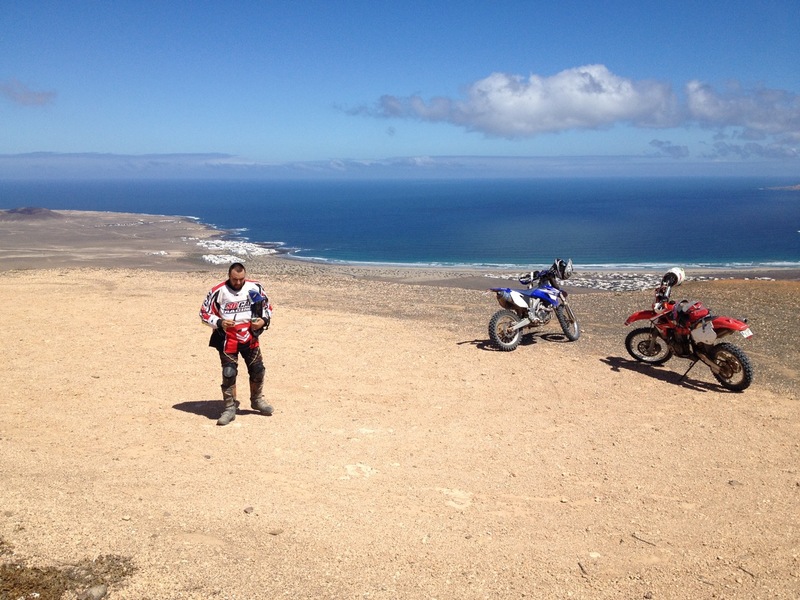 Much of the areas you will ride in are in parts of the island you would normally never see. We take in some beach side terrain close to stunning breaking waves and lava rocks. Then up some mountains with views across Famara beach and cliffs. 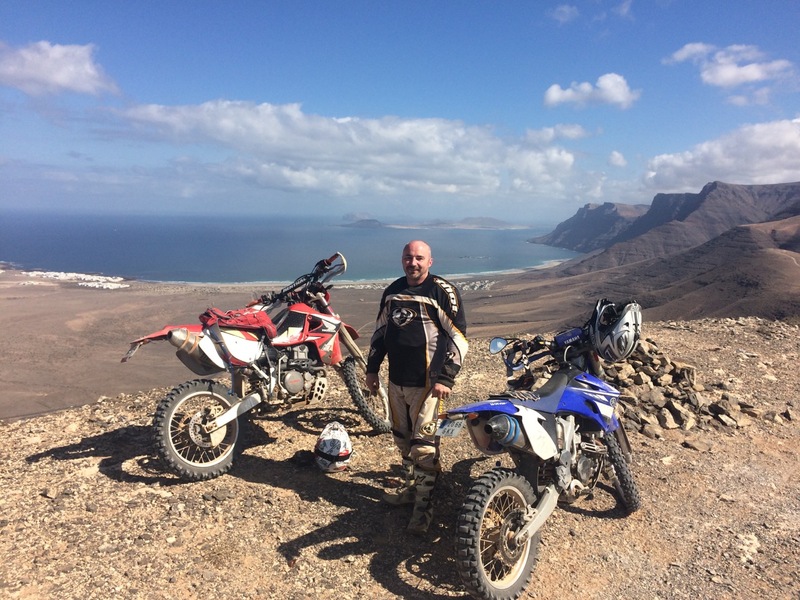 Up to the highest point of the island with spectacular views. Through river beds and into the island interior. 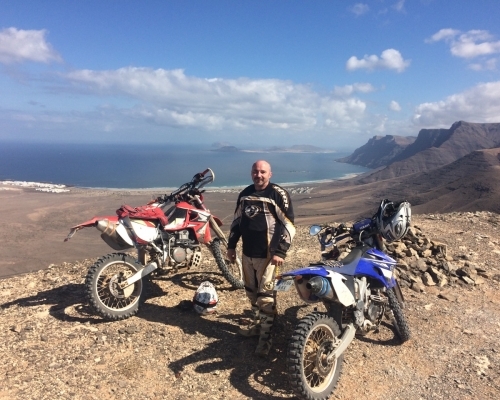 Lanzarote has a huge undiscovered side that you will enjoy and explore. En-route we stop and take some photos and videos of your great day out. 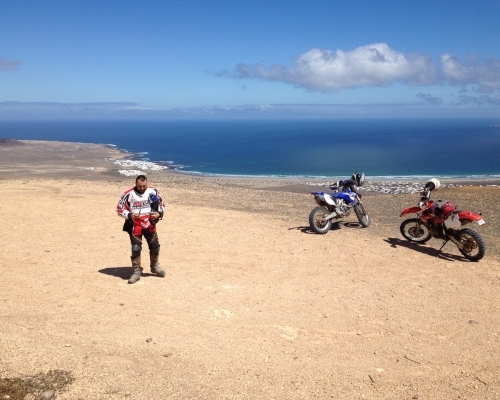 The island is like a naturally built play ground for Enduro riders and very under utilised. At the end of the ride you will have travelled around 100 kilometres and got to know this wonderful island in a way that few visitors ever do. The low population density of the island and amount of undeveloped land leads to lots of amazing routes. There are hundreds of kilometres of tracks criss crossing the whole island. Ninety nine percent of your tour will be off road. Lanzarote itself is only a four hour flight from the UK and the rest of Europe. The year round dependable weather guarantees great rides everyday of the year. There is also a fantastic variety of terrain. Around the coast there are good sand trails, inland there are riverbeds, climbs, cliff top views and easy going tracks. 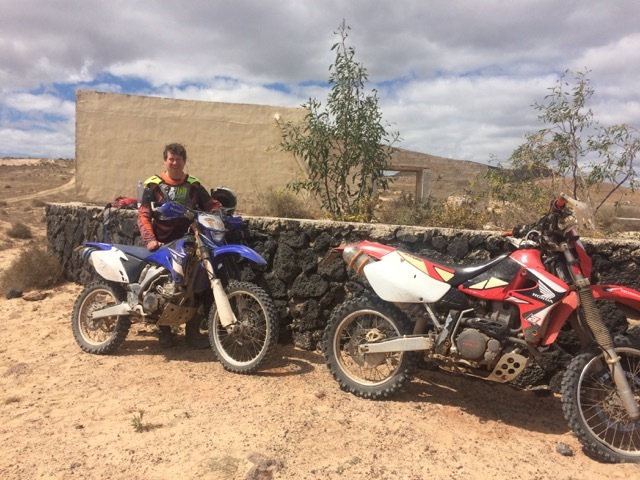 All of our clients have been very happy with the Enduro tours and impressed by what Lanzarote has to offer. You will see parts of Lanzarote few people ever see. 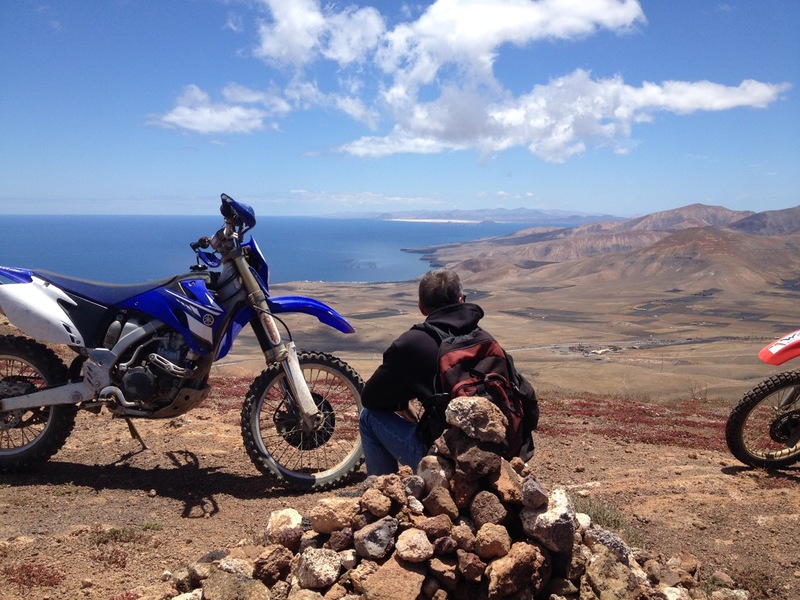 Here are a few videos of some of the Enduro routes across Lanzarote.